The 2017 Holiday season has already begun and you have already noticed that there seems to be a lot more trash or waste hanging around in your house. 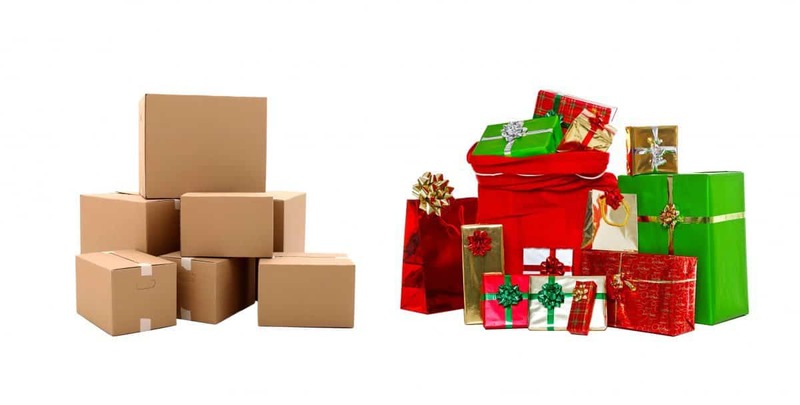 Whether it’s cardboard boxes from packages from Amazon or simply the leftover clippings from wrapping paper, the Holiday season has a way of adding unwanted items to your house. The good news there are lots of things you can do to reduce the trash buildup in your house! Check out the list below for ideas of what to recycle, what to get rid of, and what you can reuse for future holidays! One of the joys of the Holiday’s is that you can expect a ton of shiny letters from loved ones and friends. However, when millions of people are sending a plethora of cards it easily adds up to tons and tons of paper that may inevitably end up in the trash. An easy way fix this? Send digital Christmas/Holiday cards to your loved ones! Not only is this a greener way to send your message, it also reduces the need for paper. If you cannot stand thinking about sending a digital card, consider printing it on recyclable paper and be sure to check your recipient list twice to make sure that only people who will really appreciate the card receive it! Once Christmas is over millions of Christmas trees no longer have any use in homes. Often times people will throw them out with their regular garbage. Don’t do this! There are plenty or recycling programs and curbside pick up options to dispose of your tree in a greener, healthier way for the environment. The City of Denver offers various locations to come and drop off your tree during the first two weeks of January, Be sure to check with your waste company to see if they offer any recycling services for Christmas trees! During the Holidays one thing you can be sure of is that your favorite shop is sure to always be busy! There are ways you can be mindful of your waste even when you are buying your gifts! Carpool to the stores and reduce the amount of gas that is released into the environment. Use reusable bags instead of plastic when you are shopping. If you are truly dedicated to dramatically reducing your waste during the Holidays you could always wrap your treasures in newspaper/ads that you collect. However, the pretty wrapping paper and shiny bows are always more visually appealing. If this is the case be sure to use paper that is recycled or can be recycled again. More often than not the paper you buy can be recycled, so skip the trash bin this year! Another idea is to wrap your gifts in bags that be used over and over again (no, this is not tacky!). You can get many uses out of one bag whereas wrapping paper is typically a one and done situation. If you have ever looked around your home after Christmas morning you are probably overwhelmed by the amount of paper/tape/trash that accumulated as you were opening your gifts. This year consider getting gift cards in place of that pair of socks! Not only does this give the person a chance to get exactly what they want but it also creates a lot less waste than the average package. Another thing to consider is making your own gifts! Not only can this save you some money, it also can save you from having to deal with box after box of pre-packaged items. Plus giving something that you worked hard on always feels better than something you purchased! There you have it, a few ideas to reduce the waste you can create during the Holiday season! If you have other ideas be sure to let us know on Facebook!